Grit books were a hit this holiday season! It was all about personal gifts for the kids this Christmas. I took the old school work of my daughter and nieces to make more recycled paper. With the paper, I had them bound into books covered in their favorite colors. I wasn’t sure what they would do with them. Maybe they would use them as their story journal, or as their coloring/drawing book or as a scrapbook or dream journal. Whatever they choose, I am excited to see what treasures these grit books hold and I will be sure to share them with you all. My daughter has already started using it to draw designs of what she wants to create next as well as her hopes for each day. In noticing this, it made me think about my past blog post on grit goals as well as an article I read in ForbesWoman. The article was about goal setting. Create a vision for what you want. Turn that into a list of measurable goals. Celebrate your successes/goals as you accomplish them. Wouldn’t it be amazing if grit books housed these important steps for our children whether it’s in words, pictures or both? Why wouldn’t every child have a grit book? Enjoy the pictures. Remember, the books are uniquely designed out of a child’s completed school work reminding them of all of the great work they have already accomplished. Please comment on what you think of these grit books and share ideas on how they could be used. Looking forward to hearing from you! Step 2: Pay a deposit fee and we will send you a pre-addressed box. Place your child’s school work in it and drop in the mail. Step 3: Once Grit Moms receives your child’s school work, we will begin converting the school work into Grit Book pages. Along the way, we will send you a draft copy of the books cover and title based on your survey responses/email communication. Step 4: Upon approval of our cover work, you will pay the remaining balance and we will ship your book to you to enjoy! 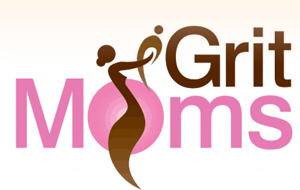 This entry was posted in Blog, Projects on January 3, 2016 by gritmoms.